A common problem that arises in smaller homes is the challenge of limited space. A beautiful loft in the center of the city with a skyline view sounds unbelievably stunning until you have to squeeze past the coffee table or lay still on a twin size bed on the daily. Maximizing space can be a difficult feat, but that doesn’t mean you should have to sacrifice your preferences for efficiency. Kingston Brass offers an extensive variety of both bath and kitchen products that are meticulously crafted to accommodate said small spaces. These specialized products may lack in volume but do not falter in either functionality or quality. Each is designed with top-quality solid brass to ensure years of opportune space-efficiency. Browse below the different types of products that not only complement modest spaces but also seemingly expand them. 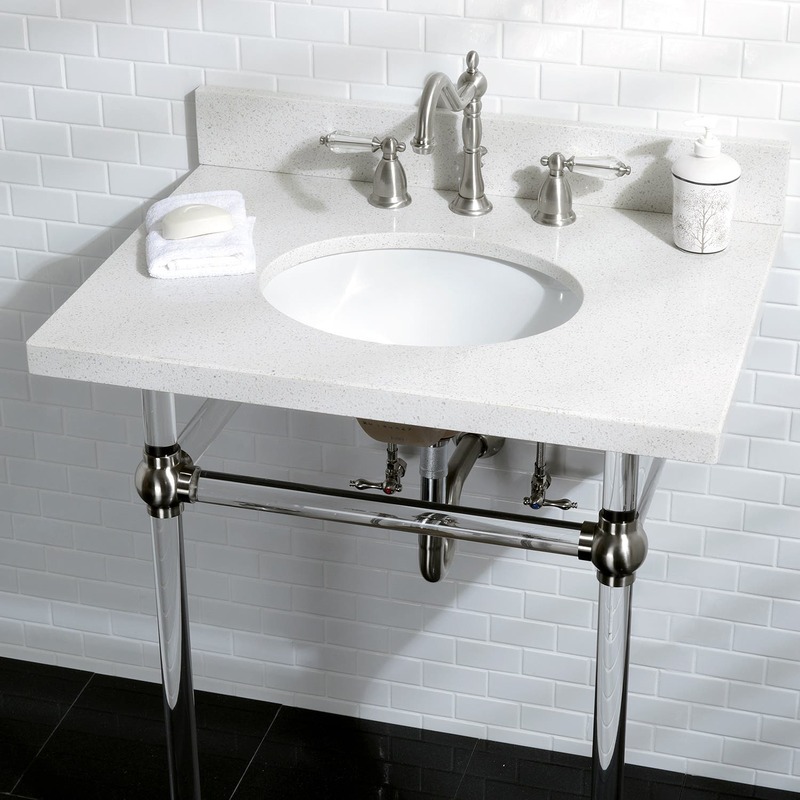 For homes that have smaller-scale bathrooms, a vanity console sink is the proper choice to maximize space. The bathroom is a central location for several fundamental duties throughout the day. We brush our teeth, wash our face, use the loo, shower, take a bath, wash our hands, put on makeup, shave, and more all in this one tiny area. How does such a principal hub get away with being so small in size? Especially in smaller apartments, squeezing past the toilet, sink, and shower all within a step of each other can get frustrating. This is the reason for such vanity console sinks. Featured throughout the Templeton Collection in a variety of material including white quartz and Carrara marble, Kingston Brass offers these beautiful fixtures that provide the perfect amount of counter space to store sink essentials. Additionally, its pedestal legs offer shelving space to conveniently hang hand towels. Don’t waste what little space you do have and utilize the benefits of a vanity console sink. Instead of the ordinary faucet configuration on the countertop or on the sink deck, why not opt for a space-efficient wall mount faucet? Wall mount faucets (for kitchen too!) are growing more and more popular for not only their unique look but also their convenient construction. 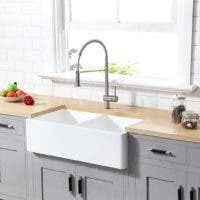 By fixing the faucet above your sink versus behind it, one may save a substantial amount of counter space and instead use it for wash products. Additionally, its out-reaching spouts may double as storage units to hang towels from. However, not only is this configuration of faucet advantageous in its functionality but its exceptional look too. Elevate your faucet to elevate your home without sacrificing any space. Alcove bathtubs are the classic configuration one most likely grew up taking bubble baths in as a child. 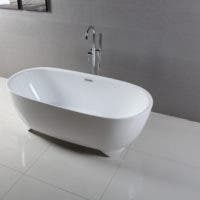 Recognized for its excellent space-efficiency, many prefer these tubs when they are lacking in room. An alcove tub is built into a constructed cubby surrounded by three walls, hence its name. Freestanding and clawfoot tubs occupy substantial amounts of floor space due to their unrestricted mobility and are great for larger-sized bathrooms. 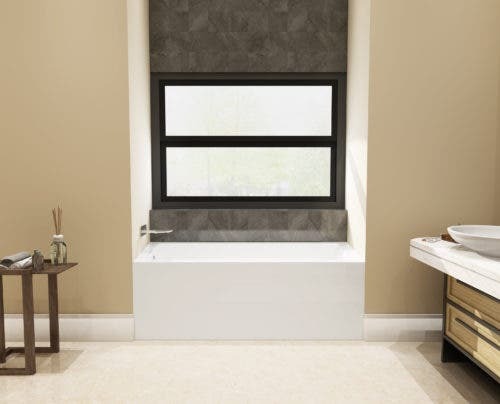 However, for homes or apartments with smaller floor plans, the alcove tub is the perfect alternative. Kingston Brass’ Aqua Eden Bathtub Collection features a number of alcove tubs varying in material, size, and style. Their convenient configuration allows for a total recline with the support of three walls. 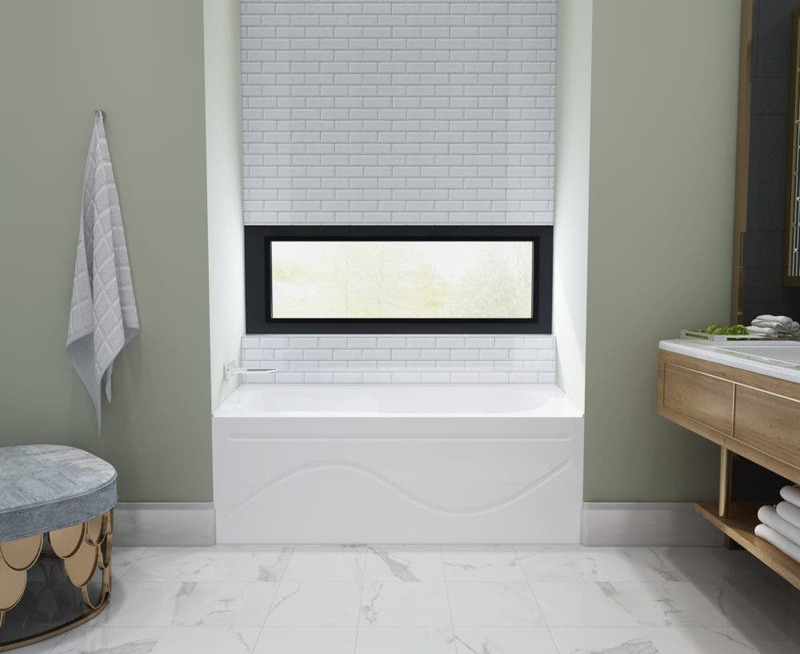 Although many admire the individuality of clawfoot and freestanding tubs, alcove tubs create a cozy haven that employs just the right amount of space to not waste any but also allow for total body encompassment in a soothing bath. One may view a shortcoming of floor space as an inconvenience, but with the assistance of certain fixtures carefully crafted by Kingston Brass like vanity console sinks, wall mount faucets, and alcove bathtubs, space-efficiency will not be a problem any longer.